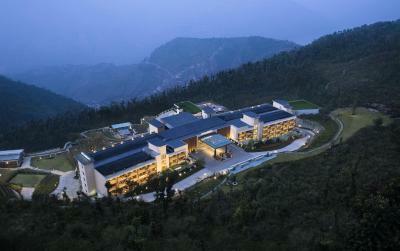 Lock in a great price for JW Marriott Mussoorie Walnut Grove Resort & Spa - rated 9.2 by recent guests. Location but food menu was not great. Their swimming pool was not working which we got to know later only. 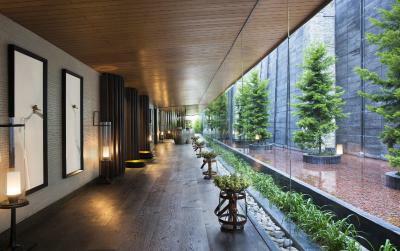 The staff is very co-operative..loved the property..food is amazing!! Worth visiting!! Excellent service. Great food. Stunning Location. Clean rooms. 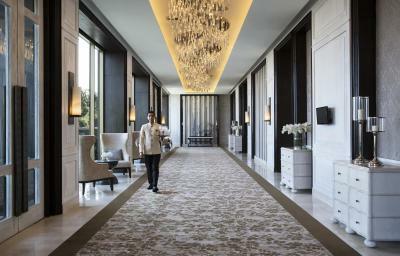 Many activities in the hotel itself. The hospitality of the staff was beyond expectations. Jatin at the JW cafe deserves special recognition for his wonderful service and attitude towards guests. The Property is a delight. 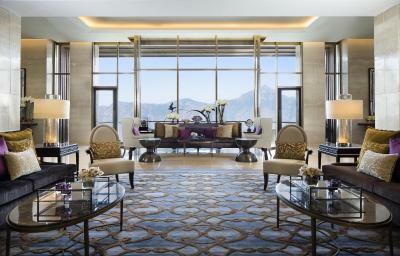 The panoramic views and the classy interiors are one of the best i have seen. 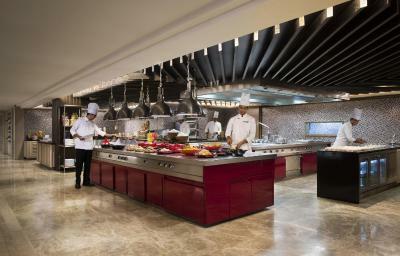 The Buffet spread was extensive , from Mongolian rice to the local garhwali cuisine. The best feature possibly is the range of activities one can do; Bowling, swimming in the temperature controlled pool to playing croquet and badminton. The icing on the cake for me was running to Mussorie and back. The treks. The scenery and views. The excellent meals. The wonderful staff, in all departments. 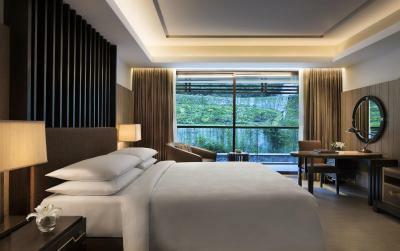 Beautiful room and bathroom, with good quality complimentary toiletries. The breakfast and dinner spreads were just amazing. The staff was extremely courteous and eager to serve most of the delicacies on our table itself which was really helpful considering the fact that we were travelling with two senior citizens. Must say that the hospitality was outstanding, from the security guard at the front gate to the server who was in the restaurant, always smiling and courteous, The room was super comfortable, the bathroom size very good with a tub which really adds value and the balcony a bonus when you want to enjoy the lovely views while sipping your morning tea. Would recommend all travelers to opt for a valley view room else you might land up staring at a hilly slope which is to the rear of the hotel. THE HOSPITALITY OF THE STAFF AND CREW IS VERY GOOD AND OF COURSE AS MENTIONED ABOVE. 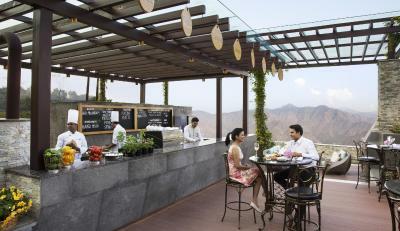 One of our top picks in Mussoorie – and a guest favourite. 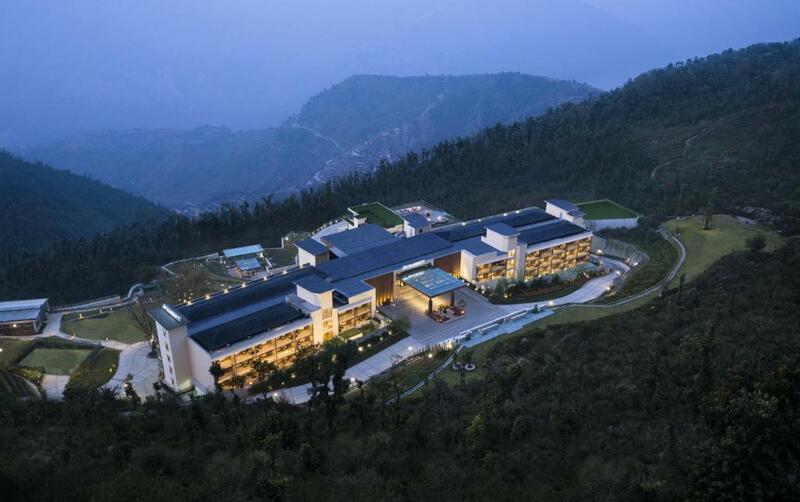 Offering an indoor swimming pool, a spa and wellness centre, L'Occitane and a fitness centre, JW Marriott Mussoorie Walnut Grove Resort & Spa is located in Mussoorie. 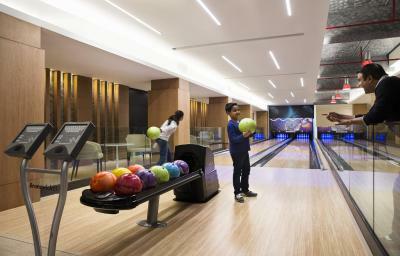 Guests can enjoy a game of bowling and billiards. 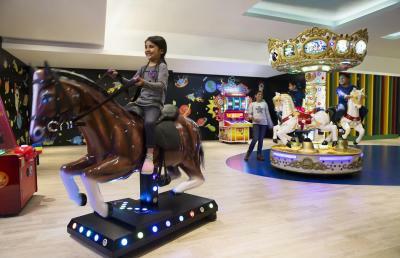 The property has a 12,000 sq.feet kid’s club/entertainment area. 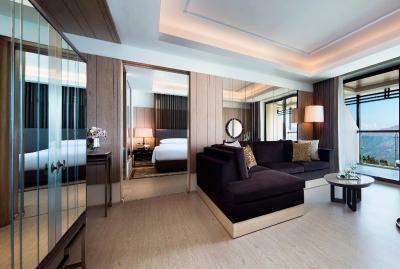 Each elegant air-conditioned room here will provide you with a satellite TV, a seating area and a balcony. Featuring a shower and a bath tub in a private bathroom which comes with a bath robe and a hairdryer. 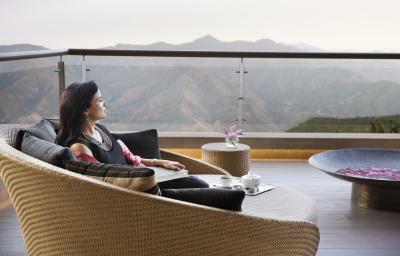 At JW Marriott Mussoorie Walnut Grove Resort & Spa you will find a sauna and massage parlour. 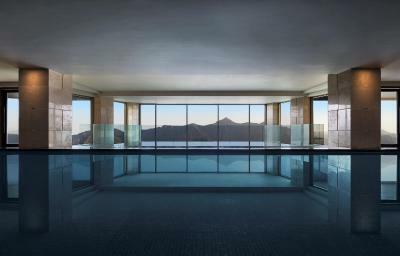 Other facilities offered at the property include entertainment staff, a games room and a ticket service. The property offers free parking. Guests can experience activities like a hilltop-outdoor adventure activity area, putting green for golf lovers, amphitheater for showcasing cultural activities and hosting karaoke nights, JW farm lunches, picnics, trekking trails, a green house and an in-house souvenir shop. 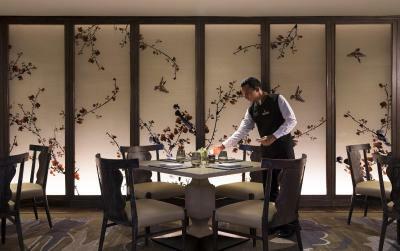 The all-day dining restaurant, JW Cafe is multi-cuisine, Teppan serves Asian while Wisteria Deck serves Italian. Trout House Grill and Bar serves grilled delights while Perch is a tea lounge. Refreshing beverages are served at the poolside bar. 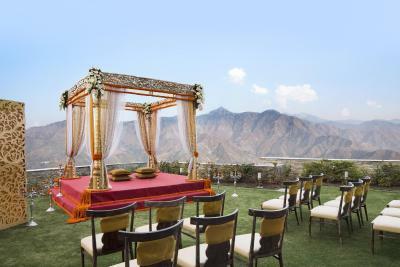 The hotel is 3.7 miles from Kempty Fall, 5.6 miles from Gun Hill Vintage Point and 18.6 miles from Dhanaulti. The Library Bus Station is 5 miles and the Dheradun Railway Station is 24.2 miles. The Jolly Grant Airport is 38.5 miles away while the Delhi International Airport is 181.4 miles. 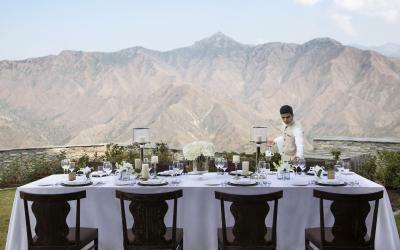 JW Marriott Mussoorie Walnut Grove Resort & Spa has been welcoming Booking.com guests since 17 Sept 2014. 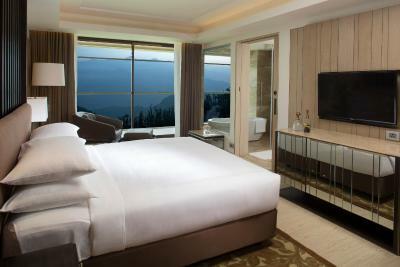 When would you like to stay at JW Marriott Mussoorie Walnut Grove Resort & Spa? 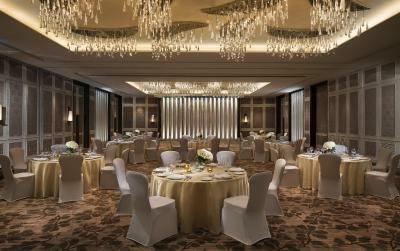 Each elegant air-conditioned room here will provide you with a satellite TV, a seating area and a balcony. Featuring a shower, private bathroom also comes with a bath and a hairdryer. This suite has a balcony, satellite TV and minibar. This room also features a walk-in wardrobe. This room features a walk in wardrobe and a Jacuzzi. 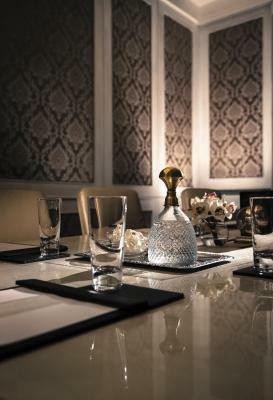 House rules JW Marriott Mussoorie Walnut Grove Resort & Spa takes special requests - add in the next step! JW Marriott Mussoorie Walnut Grove Resort &amp; Spa accepts these cards and reserves the right to temporarily hold an amount prior to arrival. JW Marriott Mussoorie Walnut Grove Resort & Spa accepts these cards and reserves the right to temporarily hold an amount prior to arrival. 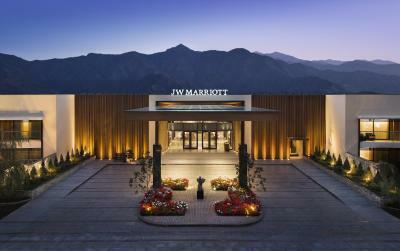 Please inform JW Marriott Mussoorie Walnut Grove Resort & Spa in advance of your expected arrival time. You can use the Special Requests box when booking, or contact the property directly with the contact details provided in your confirmation. I wasn't inroduced to my room and I had to search in my room for what's there and what's not. Which snacks were complimentary which were not. Swimming pool was operational and food in the buffet was very average in terms of variety. After spending so much atleast there should be good variety. Also there chefs keep sending on table and don’t nudge also. I personally want to have my space during my meals. Everything but majorly the hospitality. The interactive and forever smiling, ready to help and accommodate all the time , kind of staff made all the difference. Air Conditioner was not giving hot air. Ofcourse on request the staff provided us additional heater. 1.pool was not working. 2. 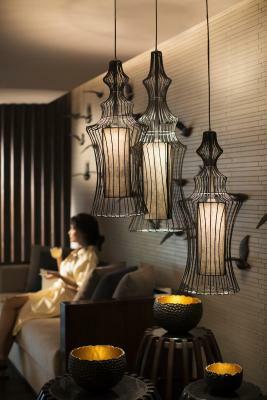 There is not separate Jacuzzi Tub, one is in the facility is with massage room... so there should be individual tub for those customer who don't want to have massage but can enjoy Jacuzzi. 3. if pool was not working it should reflect online while booking... 4. some of the channel were missing while watching TV like Zee Cinema, etc. and one of the channel balance went 0.00 while watching. and message reflect recharge your TV. Power outages were very annoying. There was nothing that I didn’t like. Perhaps labels on the phones could have been clearer and the phone on the desk connected. All trivial issues.